After months of construction on a new home or a remodel, you may want to hurry through the last inspection so you can settle in. It’s important to curb that impulse, however, because the walk-through inspection is your last opportunity to have the contractor take care of any unfinished details before final payment. Likewise, it is important to know what to look for in a walk-through inspection. All the toilets flush properly. The washer is hooked up and operational. If possible, run the washer on a short cycle. Any special water features, like sprinkler systems, bathtub jets, and sink hoses work as designed. There are no leaks. Check as well for mold growth or water damage. All other electric features, like doorbells and thermostat boxes, are connected and working. 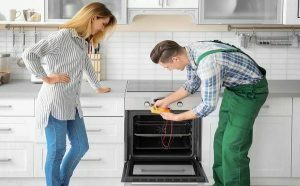 All appliances should be tested for proper installation and operation. Run the washer, dryer and dishwasher through a cycle. Test the stove, burners, dryer, built-in microwaves and refrigerator/freezers before signing off on the home. Walls show no moving or work damage. Check for nail pops and proper drywall installation. Floors are finished properly, with no damaged or rough spots, or exposed areas if covered in carpeting or tile. Any grouting should be clean and complete. If you are unsure about what to look for in your final walk-through inspection, or need a construction advocate to walk through with you, contact Först Consulting Group. We are experts in all aspects of construction and can act as a homeowner advocate help guide you through the often-complicated process of building or remodeling a home. Contact Först Consulting Group today.